Light wall bracket - Qty 10. Our line of Erico Electrical and Datacomm Fasteners are perfect for those big contractors running thousands of feet of cable. Or someone just doing a few home improvements. Whoever you are, Erico Electrical and Datacomm Fasteners are the right choice for you. Beginning with the J-Hook, ERICO has continued to innovate and develop the complete line of CADDY CABLECAT products to support today's high-performance cable. The CADDY CAT-CM provides a cable tray alternative utilizing rod and strut components together with specifically developed steel brackets. The Rod-Mounted option allows for field assembly of the hooks onto All-Thread Rod. The Cantilever-Mounted option consists of U-Hooks mounted with brackets to walls and columns. 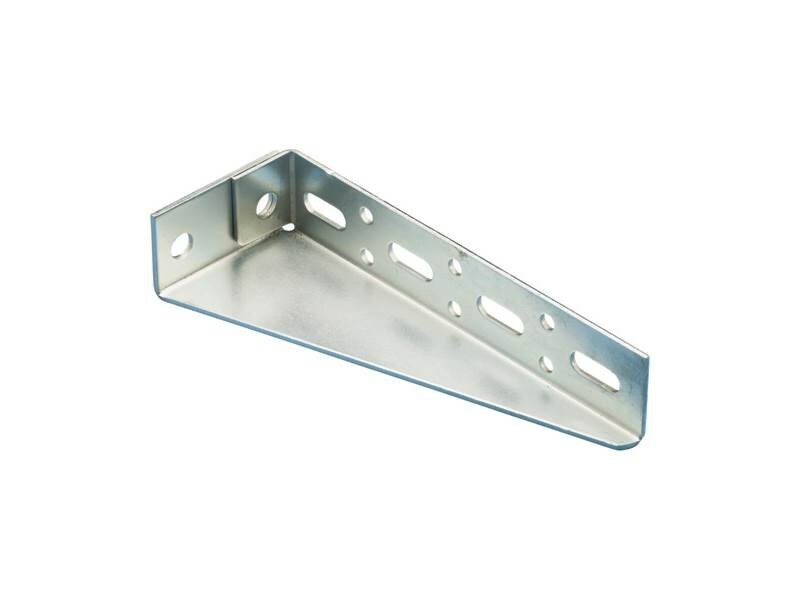 The Strut-Mounted option is accomplished by assembling the hooks to strut for a cost-effective alternative to center rail cable tray and wire basket systems.